SINGAPORE - Equipment calibration and testing company MW Group was hit with a $200,000 fine on Wednesday (Jan 17) for a fatal workplace incident, where a worker was electrocuted. The Ministry of Manpower (MOM) said in a statement on Friday that the company was convicted after a five-day trial for its workplace safety and health lapses. These include failing to conduct a specific risk assessment and establish safe work procedures for the calibration and testing of an arc reflection system (ARS) machine. On Nov 7, 2013, Mr Suyambu Suman was asked to test and calibrate the ARS machine at Pantech Business Hub. He held a high voltage probe to test the ARS from 2kV to 12kV. 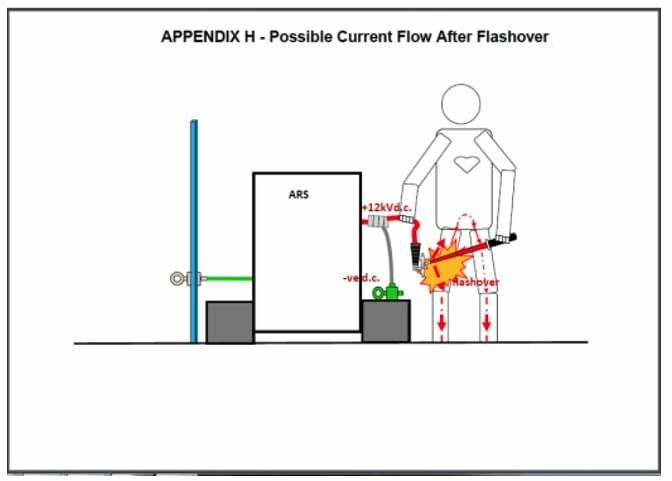 As the DC output voltage level of the ARS gradually built up to 12kV, the potential difference between Mr Suyambu's body and the grip assembly, which is the output cable with high voltage probe, may have exceeded the electric breakdown strength of the air gap and caused a flashover, the statement said. Mr Suyambu subsequently fell backwards and became unconscious. He died later on the same day, with the cause of death certified to be electrocution. Investigations revealed that while MW Group had conducted a generic risk assessment for electrical testing prior to the accident and electrocution was identified as the only hazard, no control measures were put in place. "The technicians working on the day of the accident were not aware of any risk assessment, safe work procedures or any other control measures to protect them from electrocution when testing and calibration of the ARS machine," the statement added. The Energy Market Authority, in its investigations into the accident, concluded that no proper test fixtures were set up before the start of the high voltage calibration works. In addition, Mr Suyambu did not maintain a safe working distance of approximately 1.5m from the "live" terminals. Mr Chan Yew Kwong, MOM's director of occupational safety and health inspectorate, said: "The employer knew that the technicians were exposed to the risk of electrocution and yet failed to provide the technicians with a step-by-step guide on how to do the job safely. "It is the employer's duty to ensure no works are carried out without appropriate safeguards." He added that companies that disregard their workers' safety would be taken to task.